The ventral surface of the abdomen of an American lobster. Prominent are the swimmerettes, uropods, and telson. abyssalpelagic zone - the pelagic environment from a depth of 4000 m to 7000 m.The water temperature in this zone is constantly near freezing; also called the "abyssopelagic zone"
Crown-of-Thorns starfish (Acanthaster sp. 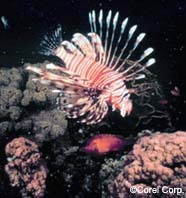 ), a voracious predator of corals. acantho- - a prefix meaning "with spines"
acidophilia - an abnormal increase in the number of eosinophils in the blood which is characteristic of allergic states and various parasitic infections; also called "eosinophilia"
actinopharynx - a short, flagellated tube between the mouth and gastrovascular cavity of an anthozoan polyp. It arises as an invagination of the oral epidermis; the pharynx of an actinarian; also called the "stomodaeum"
This squirrel fish is a member of the class Actinopterygii, the ray-finned fishes. 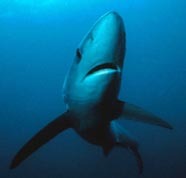 Note the hard and soft rays in its fins. 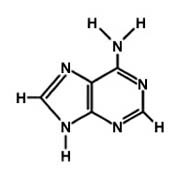 Diagram of the chemical structure of adenine, one of the four nitrogenous bases in DNA. 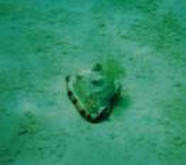 An adult Nassau grouper. 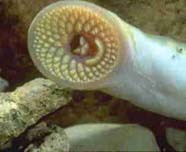 It is sexually mature and capable of reproducing. 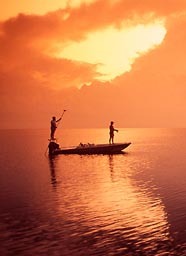 aground - touching, resting or lodged on the bottom of shallow water. The opposite is "afloat"
An albino catfish. 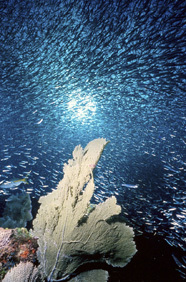 The fish's skin cells contain no dark melanin granules. Alcyonarians are colonial soft corals that lack the CaCO3 exoskeleton of the hard or stony corals. 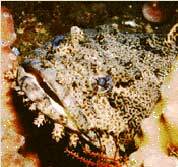 An endoskeleton of calcareous spicules provide support for the body, which is studded with polyps. algal galls - a response of gorgonia (Pseudoplexaura spp.) 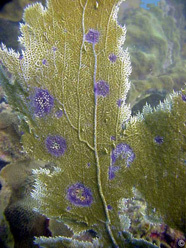 to tissue invasion by the algae, Entocladia endozoica, in Florida and Caribbean waters. 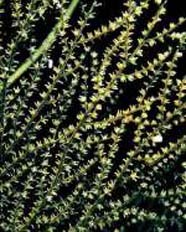 The host gorgonia react to the algal filaments by producing capsules (galls) composed of skeletal elements that isolate the algae from the host tissue, at the expense of the skeletons' tensile strength and elasticity. 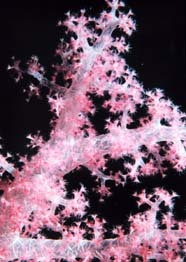 The gorgonium readily breaks apart at the sites of the weakened skeleton. Coralline algae makes up part of an algal reef. allotopic - refers to species with overlapping ranges but do not occupy the same space. 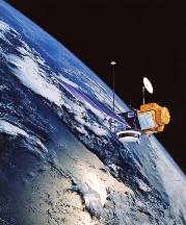 They do not "live together"
Artist's rendition of a satellite measuring altimetry. The ray of a starfish revealing the ambulacral groove and tube feet. anaphylaxis - a severe, potentially life-threatening, allergic reaction, which can occur after an animal sting or as a reaction to an injected drug. Less commonly, the reaction occurs after a particular food or drug has been taken by mouth. 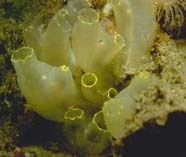 Symptoms may include vascular collapse, shock and respiratory distress; also called "anaphylactic shock"
A sea anemone of the Phylum Cnidaria, Class Anthozoa. 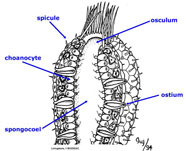 The tentacles bear stinging cells which are used for food capture and defense. 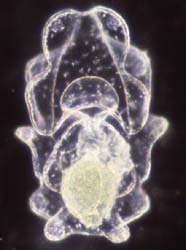 A marine segmented worm of the phylum Annelida. Close up of the anterior end of a spotlight parrotfish supermale. 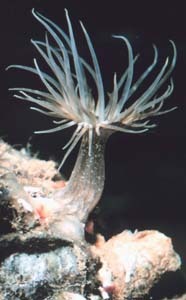 A deep-sea anemone photographed by the Alvin 2001 during a survey of Blake Ridge off the U.S. Georgia coast (Deep East expedition). Black coral in the order Antipatharia. 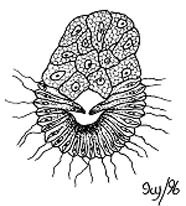 apoptosis - a normal cellular process involving a genetically programmed series of events leading to the death of a cell; also called "programmed cell death (PCD)" or "cell suicide"
A spiny lobster (phylum Arthropoda). 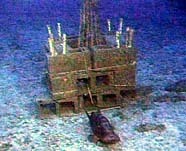 These concrete blocks were the first artificial structures deployed to provide a substrate for reestablishing colonies of Oculina coral (Oculina varicosa) and simulating fish habitat on Oculina Bank (central Florida Atlantic coast), which were destroyed by bottom trawling in the 1990s. 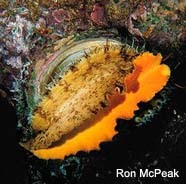 These adult ascideans (sea squirts) resemble invertebrates, but they are closely related to vertebrates and other members of the phylum Chordata. 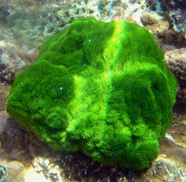 asco - a prefix meaning "sack"
aspergillosis - a widespread fungal infection of Caribbean soft corals. It affects six species of sea fans and sea whips. 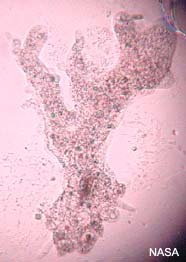 The pathogen is Aspergillus sydowii, a terrestrial fungus which infects gorgonia after germination of spores on the coral surface. 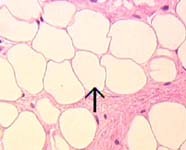 This is followed by penetration and spread of hyphae in coral tissue, resulting in highly visible lesions which may be associated with complete loss of tissue and skeleton. 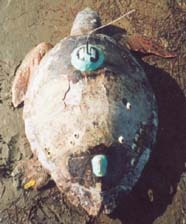 Lesions often occur at multiple sites across an infected colony.-Purple galls may be produced by the coral host to encapsulate fungal hyphae. 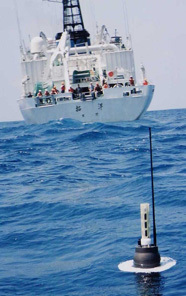 A small Pacific atoll. Note the coral reef encircling the calm and shallow lagoon. autochory - the process of seeds and fruits dispersal by means of some kind of explosive physical expulsion.The fruit "explodes", propelling its seeds some distance to the ground surrounding the parent plant; also called "discharge dispersal"
Aves - the name of the class of vertebrates that consists exclusively of birds; the Latin word for "bird"
Artist's rendition of POES satellite. Avogadro's number - a large constant used in chemistry and physics. It is the number of molecules (6.02214 × 10 23 )in one mole of substance; also called "Avogadro's Constant"